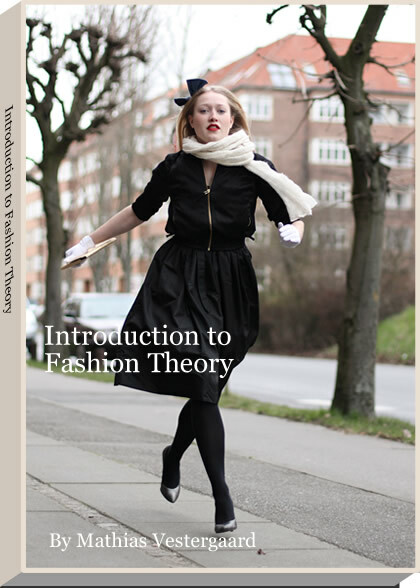 Book-project: Fashion Theory _ Mathias Vestergaard Corp. He is from Kansas City but wants to live in London and was spending some time in Berlin due to visa problems. I complained about my struggles to get a visa to the US and during our dinner at some fairly random, but supposedly italian restaurant, he suggested I wrote a book. At first, I thought he was kidding, but he was serious and the idea developed in my head. At first I wanted to write about fashion and cognitive semiotics, but it occured to me that it would be better to try to write an introductory text book. You can follow the development of the book on my website. This entry was filed under Fashion, Projects.